We may have already discussed (and debunked) the idea that HP was going to pull out of the smartphone market as their webOS lines begin to expand, but user prethadd81 is still curious as to why HP hasn't been marketing not just the Pre 3, but the Veer as well (even the Pre 2). Some users have some good thoughts on the subject, and are even placing their bets on how HP is planning on marketing the next 3 devices that are coming to the market. It's a good question to ask; "Why isn't HP talking about the Pre 3 more?" kdubhotsauce is a 16 year old developer who has created quite a number of webOS applications already, but it seems to just be the start to what he would like to do. One project that he is working on right now is with several newly designed themes for the clock app that look really good. He just needs a bit of help creating a patch to get them installed properly, and while Jaycanuck has already offered a hand, it may not be a bad idea to see what other ways you guys can contribute to his project. Rod Whitby, as most of you know, is the head genius behind the whole team of geniuses at WebOS Internals, and he has just announced a new plan that he has to pre-activate an unlocked GMS Pre 2 to give it full paid app catalog access, regardless of whether the carrier it is going to be on has a restricted app catalog, which has been a problem from the beginning for internal Pre owners. He hasn't made his process for pre-activation public yet, but we assume that he'll do so in short time after a few tests to get it finalized. Contact him from that thread if you are interested in taking part in the action. User GodShapedHole has found and shared some benchmark overview data for the HP Veer, and it looks like the very small device actually comes in with a higher score than both the iPhone 4 and HTC Evo (meaning that it will probably be faster than both upon release). As keeb119 points out, we aren't even sure if these are for the final builds of the device, which means that those GPU speeds could turn out to be even a little smoother upon release. Lastly, our Editor in Chief, Dieter Bohn, has written a quick letter to all PreCentral forums to not just thank you all for your feedback and excellent discussions that you've been starting up over the years, but to also remind everyone why our community here is the best on the web for webOS fans and developers: We want to continue being able to enjoy webOS, to get help on any problems that we're having and to share the big news that is coming in the future, but it's all because of your enthusiastic and polite discussions that we are able to continue the way that we are. Check out the announcement here and see the changes that have come to the forums recently, but definitely keep sending your feedback. We love it! 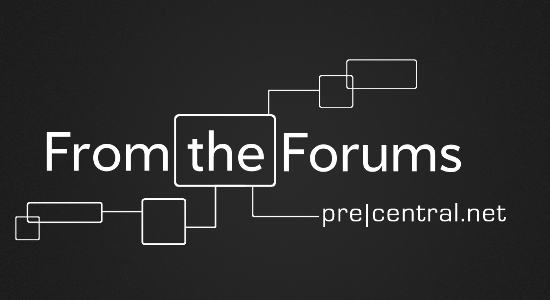 The PreCentral forums are always open and active for you to join in, and besides the threads we've linked to here, there are a lot of other discussions going on over there. Check them all out by clicking the link up top and get ready to share your thoughts with the great community that has been built there.